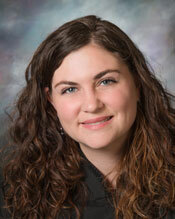 Megan Weagant earned her Juris Doctorate degree from the University of Wyoming College of Law in 2009. During law school, she worked as a student attorney in the Family and Child Legal Advocacy clinic. She served as an staff member and then editor on the Wyoming Law Review, where she also published an article in 2008. Following graduation, she was admitted to practice law in the State of Arizona and began working as an associate attorney for Fitzgibbons Law Offices in Casa Grande. In 2013, she established the Law Office of Megan K. Weagant, where she focused her practice on serving Pinal County, primarily representing children and vulnerable adults in juvenile, family, criminal and probate court. Megan Weagant was appointed as Commissioner of the Pinal County Superior Court in October of 2016. She resides in Florence with her husband and three children.